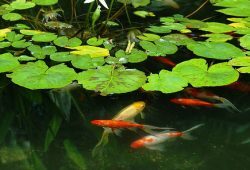 In the article I’ll tell you about Stuff you need to know about pond safety. All gardens have their dangers, mostly well-documented. Paths, patios and especially decking near ponds, can get slippery with neglect. And there’s double the danger with water around. Keep them scrupulously clean and consider adding a non-slip surface like chicken wire – or stick on non-slip strips. Ensure that all timber treatments are safe with your fish or take precautions against any run-off entering your pond. Don’t use sleepers which may have been treated with poisonous substances. Make sure that all edging materials around ponds are secure and won’t move under your feet (best not stand on them anyway, if possible). Make a regular check of pipe connections, taps, hosetails and anywhere where water might leak. 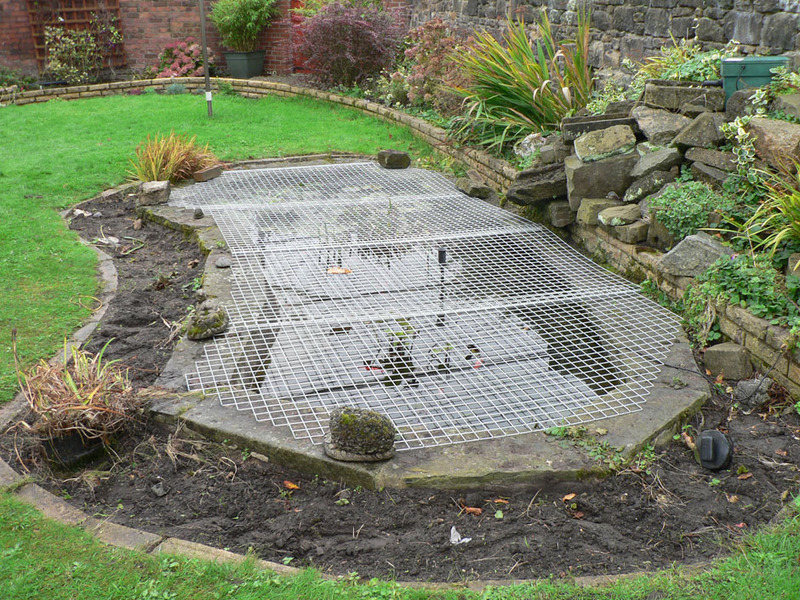 No piece of pond equipment is designed to run dry. You can buy alarms that warn of low water levels in the pond. At the other end of the scale, it’s sometimes possible for ponds to overflow, and the water from a raised pond could conceivably even flood into your house. The answer is a strategically positioned soak-away pipe. Check it regularly to make sure it’s not blocked. Figures from The Royal Society for the Prevention of Accidents (ROSPA) show that electrocution is blessedly rare. For instance, in 2000 there were no pond-related electrocutions. 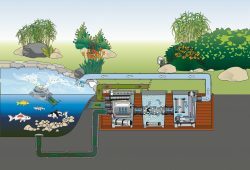 Most manufacturers build in cut-outs on their equipment, and the majority of pond owners incorporate some form of RCD circuit breaker into their equipment. 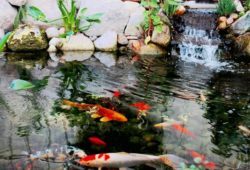 You could say electricity and water mix – with potentially lethal results – but although it apparently has happened, the PFK team has yet to hear of the electrocution of a pond full of fish. Many modern houses now have RCD systems as standard. We have, however, heard of electrical leakage possibly causing long-term fish disease problems. All outdoor wiring needs to be done to high standards (kits are available for the skilled DIYer). All cables from house to pond should be armoured, buried and protected, with tiles covered with black and yellow waspy warning tape. Weatherproof connectors, switches, sockets and padlocked outdoor connection boxes should be used. In the end, for complete safety, outdoor electricity is probably a job for the expert. Finally, as always recommended, never look at a lit UV tube as it can damage your eyesight. Even a frog will drown in your pond if it can’t find somewhere to rest or to climb out to breathe. Some ponds have sheer sides, and their general spartan standards mean that there’s nothing as supportive as a lily pad. Hedgehogs are a common victim. They seem to panic if they fall in your pond – even though they can swim – and we’ve come across at least one hedgehog drowning in a pond where there was an escape route built in. You can make ramparts with wood or boulders or have a shallow end in your pond to ensure that they can climb out. Children are fascinated by water and, of course, there are many benefits in having a pond or water feature for them to observe. At the same time there are many dangers. In 2001 there were 10 drownings in ponds, and 11 children under five have died in pond-related incidents in the last decade. These details come from ROSPA (www.rospa.com), who issue an excellent leaflet on pond safety. The saddest thing is that many of the victims are not residents. You have to think of access to your garden, your relatives and your children’s friends. Of these the first is the most difficult with a need to secure your gates, fences and hedges so that youngsters can’t wander into your garden. Even then, very young children will never be safe even with shallow water, so there are a couple of possible solutions. Grilles: These should be strong enough to support adults, yet small enough so that a child can’t slip through. Mesh should always be above water level. The (expensive) ideal is to commission your own grille at a metalworker to be both ornamental and fit your specific pond. There are various commercial systems available which, given the commercial liability, are pretty good. This article was first published in the September 2004 issue of the Practical Fishkeeping Magazine.